Do you need more input? When looking at the first pictures, I remembered an interesting text called "Das philosophische Vaterherz" (phil. heart of the father). It was subsequently often quoted and included in the "Hermetische ABC" compilation of Birkholz surrounding too. Can you summarize or point me to specific pages that I could attempt a rough translation on? 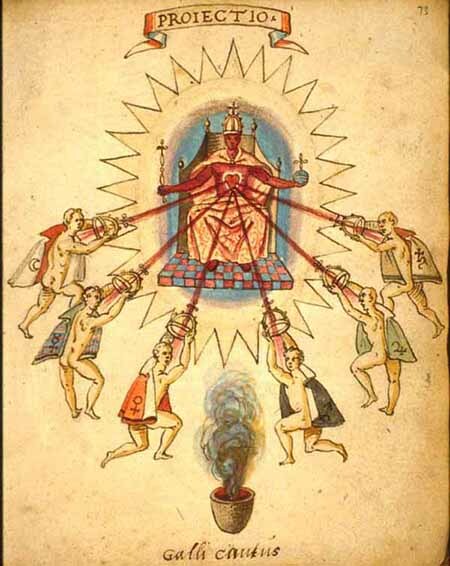 Of course I'm familiar with the "sacred/mystic heart" (often, "of jesus"), and it shows up in the images associated with Bohme's works. I had collected these images for the blog post a couple of days ago.. and then didn't bother to post. 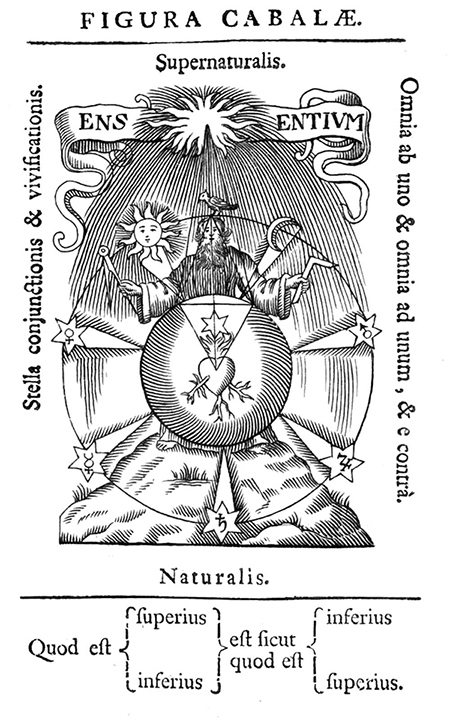 It took coming upon Daniel Cramer and his Emblemata sacra (1624)/Emblematum sacrorum (1627), or "The True Society of Jesus and the Rosy Cross" (with all 40-50 emblems based on the Heart) that pushed me into getting on with it. 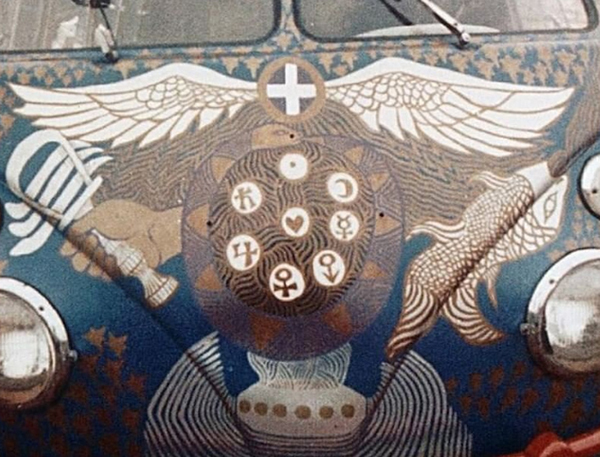 I just wanted to say that there is even a book title on that symbol/deckname. On the title page it is written that the original is french. Maybe that suits you better than the german version. I don't know the french title though. I'll definitely have to try to find the french title. Thanks. 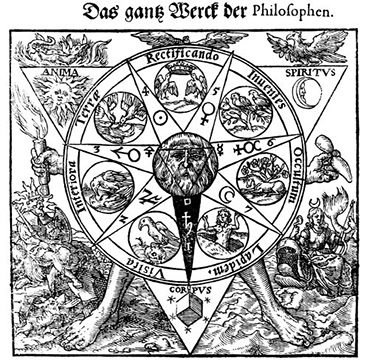 Das Eroffnete Philosophische Vatter-Hertz, an seinen Sohn, welches er, wegen hohen Alters, nicht Hinger wolte vor ihm verschlossen halten ; sondern zeigete und erklarte demselben alle das, was zu der volligen Composition und Bereitung des Steins der Weisen vonnothen war. Sonst in Frantzosischer, nun aber in Teutscher Sprache publicirt <lurch Benjamin Roth-Scholtzen, Phil. & Med. Doctor. Niirnberg, Bey Johann Daniel Taubers seel. Erben, An. 1717. 8°. Pp. 153-231, fx7, advertisements]. Title red and black. 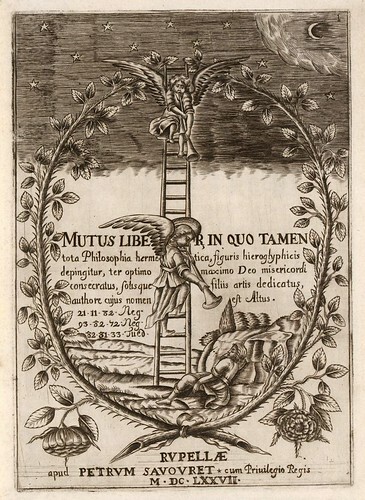 An extract from Rothscholtz's Edition of Ripley's Works, 1717.
bleiben. Zu Gottlicher Werk-Wahrheit BefOrderung, der Unwahrheit Beschamung, und der natilrlichen Geheimniissen Liebhabern niitzlichen Nachricht, aus fremder Sprach iibersetzt und ans Licht gebracht, <lurch einen Liebhaber der Warheit. Ps. 65. Gottes Briinlein hat Wasser die Fiille. Franckfurt am Mayn, hey Johann Friedrich Fleischer, 1750. 8°, pp. 8o. The preface is followed by the letters I.I.H.M.D. Das Erofnete Philosophische Vaterherz. See HERMETISCHES A. B. c., 1779, ii. p. 56. See RIPLEY (GEORGE), Chymische Schrifften, 1756, p. 153. On the assumption that the works are identical, it is instructive to read the different opinions that have been passed upon it. In the Fegfeuer it is put under "Ertz-Lilgen," and the remark is made that though it seems reasonable, the author has never put his hand to the work. Fictuld on the other hand gives it the most exaggerated praise. None of the writers seem to know about the author, but Fictuld thinks that it is by the same person as wrote the" Ritter-Krieg." Though Benjamin Roth-Scholtz is said to be the editor of the above extract from Ripley's Works, the actual editor was Friederich Roth-Scholtz, who, as he himself says, assumed his brother's name for certain reasons. See ROTH-SCHOLTZ (Benjamin). Borrichius, Conspectus Scriptorum Ckemicorum,1697, p. 38, No. liix. 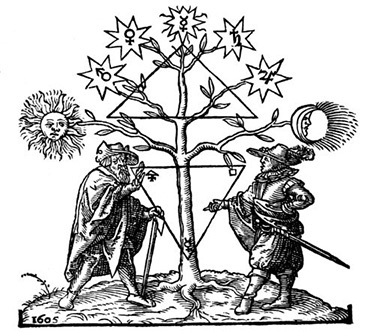 Keren Happuck, ...oder Teutsckes Fegfeuer der Scleide-Kunst, 1702, p. 124. Fictuld, Probier-Stein, 1753, Th. i. p. 159. Beytrag zur Gesckiclzte der !Wkern Ckemie, 1785, p. 627. Ladrague, Bibliotkeque Ouvaroff,Sciences Secretes 1870, Nos. 1264-5, 1472. Kopp, Die A lckemie, 1886, ii. pp. 395-6. Now that's really interesting. There are two "Ritterkriege". The ancient war of the knights by Limojon de St Didier and the Ritterkrieg by Johann Sternhals. 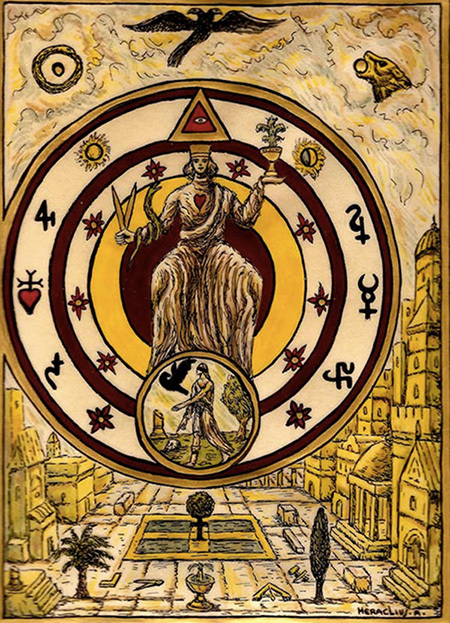 The Sternhals Ritterkrieg is older than the ancient one by St.Didier and to produce even more confusion, St. Didier was french and Sternhals german. So mixing those information together, can we assume that the Vaterherz was written by St. Didier de Limojon? 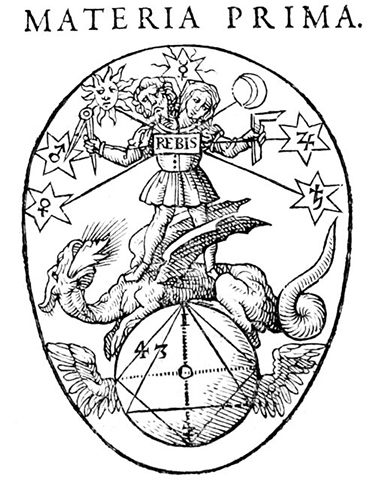 The virgin earth that rests only on sweet dreams reminds me on the title image of the Mutus Liber. Note the stone, or rock the sleeping guy is resting on. I'm happy that information is useful to you. I am only familiar with the names Ripley and Fictuld. I was completely unfamiliar with Saint-Didier until I recently re-sorted my harddrive, and now I have a "Alexandre-Toussaint Limojon de Saint-Didier" folder, with "Hermetic Triumph" and "Six Keys Eudoxus" within. I assume you are suggesting him as the author of the French version of 'Erofnetes Philosophisches Vater-Herz' as alluded to in it's title page? I guess the trick now will to compile a bibliography attributed to him and examine the main suspects.